When you visit Moscow, you’re visiting one of the world’s largest, and most expensive, capital cities. 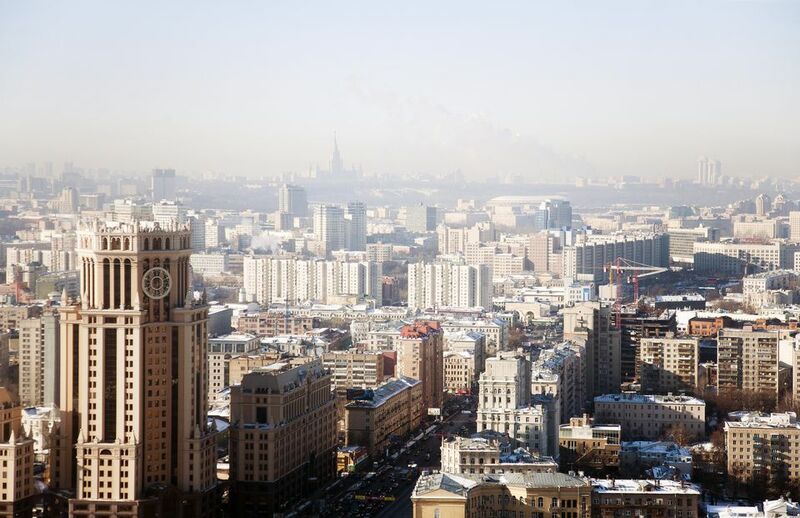 While you should abide by certain travel advice no matter where you travel, a visit to Moscow will require special considerations not necessary in other Eastern European capital cities. Pickpockets are on the lookout for foreign visitors who appear careless about their belongings. They may pull elaborate tricks to separate a person from his or her wallet, or they may swipe your cash and credit cards from you with nimble skill. Be especially wary in tourist areas, such as Arbat Street and crowded places such as the metro. Don’t expect a backpack to be a safe bag bet; instead, invest in something that you can clutch close to your body or purchase a money belt. Always diversify, keeping some money in a separate location so that if you are pickpocketed, you'll have money elsewhere. Be judicious about taking photographs. Snapping photos of police or officials is a potential way to bring unwanted attention to yourself by members of law enforcement who won’t mind asking to see your passport. Also avoid snapping photos of official-looking buildings, such as embassies and government headquarters. Additionally, citizens on the street may not want their photo snapped, and it’s best to ask politely if you spot a potential subject. Professional photography (for example, with a tripod) may require special permission and documents, but amateur photography is widely practiced without issue in Moscow. However, do note that museums may charge a fee for photography or ban it altogether. It used to be that photography was banned on Moscow’s metro (as it is on the St. Petersburg metro), but taking photos in the “people’s palaces” and in the subway cars is permitted. Because pickpocketing is a real danger, carrying your passport with you is best avoided. However, do have a photocopy of your passport on you in case you get stopped for any reason by the police, who may ask to see it. Also, photocopy the page in which your travel visa appears and any other documents that relate to your stay in Russia. When visiting points of interest such as Lenin’s Tomb, it’s important to pay the requisite amount of respect. Security is strict for this novel Moscow attraction, and long queues may tempt you to fidget or make jokes. Just chock the guards’ no-nonsense attitude up to being part of the experience, and for goodness’ sake, keep your hands out of your pockets and the grin off your face! If you are shopping for art or antiques, be sure to purchase from a dealer who can provide you with the necessary forms that will be required to take the purchase out of the country. Keep these forms and your receipt to show to customs agents before leaving Russia. Do note that items over 100 years old are not permitted to leave the country. Any traveler in a single destination for three days or more will have to register so the government can keep tabs on where its guests are at all times (even Russian citizens have passports for domestic travel and must follow their own system of registration). Hotels will typically register for you, which will require you to hand over your passport and visa. These will be returned to you with the necessary registration documents. You may incur a fee for this service, with large hotels charging minimally and smaller hotels charging quite a bit more. If you are staying in a Russian home, registration should be completed at the local police department. To avoid frying your electronic devices, be sure to have a US-to-Europe (220v) converter with you, complete with round, two-pronged adaptor. One of the first things you might need to do when you check into your hotel is charge your devices, which may have been drained of battery power during your journey. It’s best to purchase one before you travel in case you are unable to find one when you arrive. Visitors to Russia are warned not to drink the tap water. Water should be boiled before drinking, though showering is safe and the amount used to brush teeth is generally not harmful. Mineral water is widely drunk, especially at restaurants, and if you prefer not to drink carbonated mineral water, you must ask for water “voda byez gaz” (water without gas). If you plan to visit any Orthodox churches or cathedrals while in Moscow, then you must pay attention to how you dress. Dress requirements for Orthodox churches include covered legs and shoulders. Women should have their hair covered, and men must take off hats.